This is the epic story of how The First World War changed the face of battle forever. This War was a war of firsts, a transitional war from old style hand-to-hand combat with small guns and fixed bayonets and cavalry charges to high tech weaponry that are still features of present-day armed conflicts. Firsts include aerial bombardment of cities, epic tank battles, fight for control of the skies, development of submarines, chemical and bunker warfare. Troops who were bunkered down in vast trenches became overwhelmed by powerful new weapons, including tanks, WMDs, submarines and the first blitz. World War I had horrible consequences 15 million died and 20 million injured. Through experts, eyewitness testimony, riveting archive and special recreations seamlessly blended into an archival background, each episode features the story of one of these weapons. 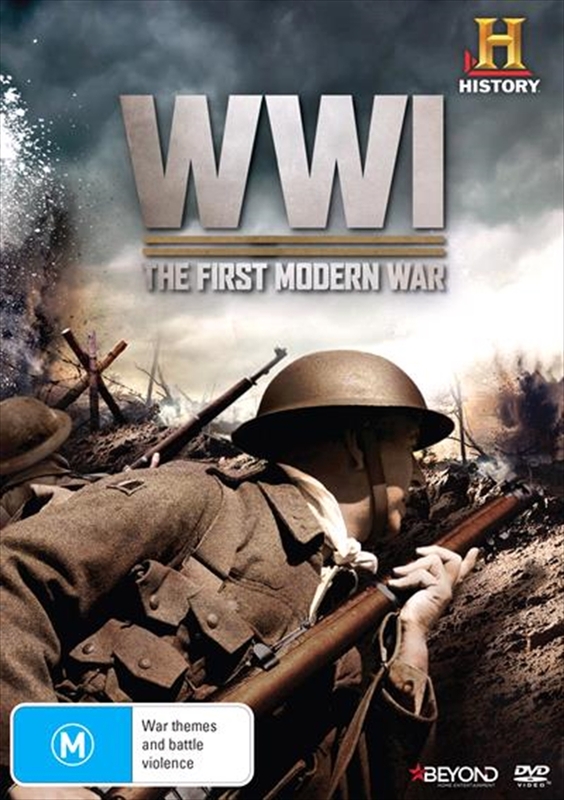 This mini-series event will bring the legendary, unrecorded events of WWI to life to create a seamless account of how people born into a simpler age learned to deal with the future shock of rapid technological advances driven by the engine of total war.